$6000 just to ride on Sand?? I could buy 3 used cars for that, & any $100 mountain bike can be ridden on most sand. He’ll be bankrupt in a few months. I think Hanebrink is first of its kind electric all terrain vehicle. 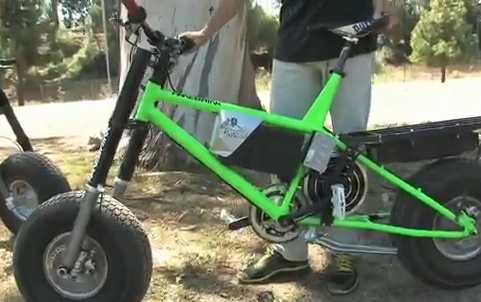 Electric vehicles like Hanebrink can replace current two wheelers that run on petrol. Various governments across the globe should take up an initiative and subsidizes production of clean energy vehicles and other alternatives sources of clean energy to run vehicles on road, so that more companies start producing clean energy vehicles. Considering the fact that the fossil fuels have already contributed in a major way by adding to existing pollution, carbon emission, global warming etc. which will going ahead perish in time, I think due to these concerns, over a period of time clean energy cars and vehicles like Hanebrink, Chevy Volt, Nissan Leaf, Vivaro will gain a market.